Our immersive learning experiences are just as 'next gen' as the learning you'll find in NGLC schools. These hands-on, learner-driven events connect you with leaders in next gen learning design as you build and sustain your own designs and approaches for next gen learning. Opportunities include ongoing support following individual events and participation in virtual communities of practice. These opportunities provide much-appreciated support as you apply your learning and continue to test and refine your designs in your school or community. Join our mailing list to receive information about upcoming events. You are now signed up for the NGLC mailing list. We hope to see you at an upcoming event! From the Transforming Learning Collaborative (founded by NGLC, Da Vinci Schools, and Schools That Can), this year-long educator-to-educator professional learning experience is for individuals and teams who want to go deep into the design process, guided by leading expert-practitioners. Participants join a small learning community, attend three face-to-face learning sessions, and benefit from virtual mentoring and collaborative learning experiences throughout the year. The program kicked off at the Transforming Learning Conference in October 2018. The 2019 Transforming Learning Incubator kicks off on October 16, 2019 at Da Vinci Schools in El Segundo, CA. Educators and others interested in next gen learning design were invited to this workshop-inspired learning experience, designed by educators. This was the signature event of the new Transforming Learning Collaborative founded by NGLC, Da Vinci Schools, and Schools That Can. The event included deep dives into project-based learning, mastery-based grading, real world learning, whole student development, and other aspects of Whole School Transformation and Learning Redesign. This report will give you a sneak peek at what you’ll learn during our hands-on, immersive learning experiences. Find out how leading educators are defining success for their students and the innovative instructional practices they use to help students learn. Thank you! You may now download How Next Generation Schools Define Success to read what leading educators in public school redesign say today’s kids need to know and be able to do, and how they know they’re learning it. Please note that the email address you provided has been added to NGLC’s mailing list. You may unsubscribe at any time. What role does network design play in shaping future learning shifts for equity? 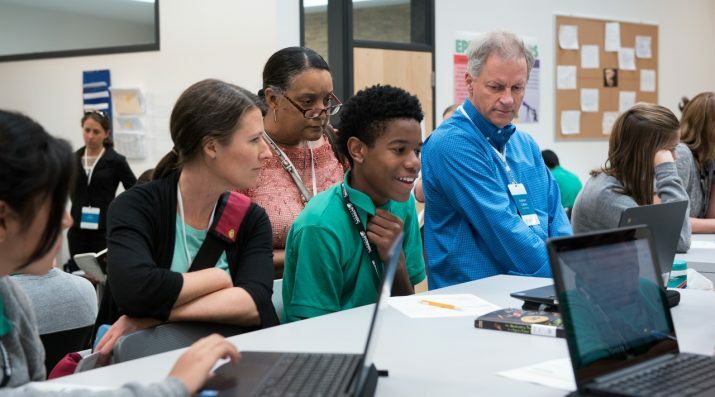 This unique learning experience, co-designed with Stanford d.school K12 Lab, included site visits to area schools and highlighted NGLC’s co-host, the Remake Learning network. The learning experience was facilitated by nationally-recognized network leaders and designers from New Tech Network, Promise 54, CommunityShare, and the Interaction Institute for Social Change. They helped guide and shape participant dialogue, design sessions, and our collective network thinking. NGLC has organized these site-based learning events for several years. Learning excursions are not your typical site visit observation. They are opportunities to visit schools that are bold pioneers in whole-school next gen learning in order to examine practice, connect with innovators—teachers, school leaders, and students—and explore ways to bring inspiring new ideas to their schools. Participants take a pause from their daily lives and become learners themselves. 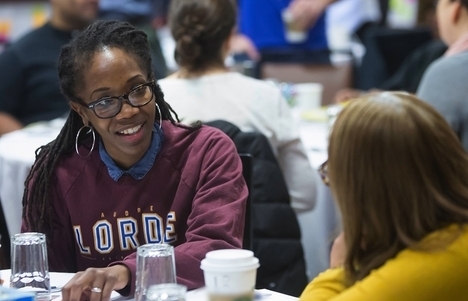 As part of NGLC's newest initiative, Mass IDEAS: Innovating Design in Education for All Students, the School Design Institutes support school teams based in Massachusetts who are ready to roll up their sleeves and rethink schools. During each institute, teams create innovative, 21st century solutions to problems affecting student learning. Participants learn school design skills and receive coaching, feedback, and the support they need to help continue the next steps of your design work back home. Next Generation Learning Challenges is an Initiative of EDUCAUSE. You are now subscribed to the NGLC mailing list. Welcome! © 2018 EDUCAUSE. Except for images and where otherwise noted, content on this site is licensed under a Creative Commons Attribution 4.0 International license.